Christmas And The Year Gone By | ItuaLive! Christmas (Christ’s–mass), the celebration of the birth of the Lord and Saviour Jesus Christ (the central figure of Christianity) has come again. Christmas is celebrated on the 25th of December every year according to the Gregorian calendar. It holds a great significance everywhere in the world; from Istanbul to Saint Petersburg and down to Iyana-Ipaja, here in Nigeria. It is marked by wild celebrations. It ushers in the season of happiness, relaxation and glee. The origins of Christmas celebrations are shrouded in controversy. In 1743, German Protestant Paul Ernst Jablonski argued Christmas was placed on December 25 to correspond with the Roman solar holiday Dies Natalis Solis Invicti and was therefore a “paganization” that debased the true church. According to Judeo–Christian tradition, creation as described in Genesis occurred on the date of the spring equinox, i.e. March 25 on the Roman calendar. This date is now celebrated as Annunciation and as the anniversary of Incarnation. In 1889, Louis Duchesne suggested that the date of Christmas was calculated as nine months after Annunciation, the traditional date of the conception of Jesus. 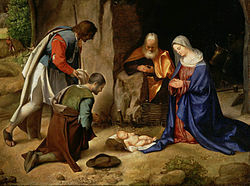 Nowadays however, the birth date of Jesus is on December 25 is mainly symbolic. A day to celebrate the coming of God into the world in the form of man to atone for the sins of humanity is considered to be the primary meaning of Christmas. Christmas is a wonderful season. It ushers in the spirit of peace and merriment. Christmas is no longer as it were a Christian celebration. Some faithful followers of other religions sometimes join in the celebrations to experience the virtues of Christianity which are embedded in Christ. All over the Nigeria, and indeed the world, Christmas stimulates a kick in the economy of Nations. In fact a quarter of personal shopping in the US is done around Christmas. Prices tend to skyrocket and yet goods and commodities still have high turn over rates, defying the law of demand. The rich and the poor often seem to find joy as a common ground. Every body can afford to buy something. Christmas is also a time of reunion. Many Nigerians in the United Kingdom and America come back home to see their family members. Even those within the country sojourn to their villages for the celebrations. Our brothers from the eastern parts of Nigeria (Ndigbo) in particular troop back to their villages. Petty traders, spare part sellers, from far and wide move to the east. Some even go on to spend virtually all the monies they have made form the beginning of the year. 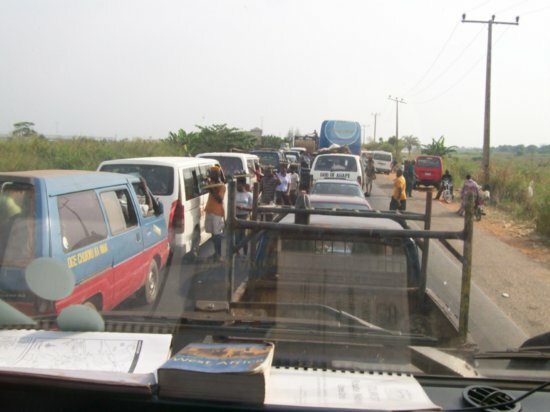 Roads leading to Nnewi, Okposi and Okija (hopefully not the shrine), are jammed. Transport companies make a fortune as they have waiting customers eager to get on the next available bus. The major interstates are blocked; Gwagwalada, Okene, Auchi, down to Ore, traffic jams are the sight. But we love it, Its Christmas. On Television, Christmas parties for kids are aired on local a station (who wants to hear about the death of 200 Afghanistan soldiers reported by CNN on Christmas day). Their happy –go- jolly faces dancing to the tunes of Ice princes’ Oleku. It’s Christmas, no sad talk. On Radio, the sounds of Charles Wesley’s, “Hark! The Herald Angels Sings”, “Silent Night” and “Joy to the world” makes for beautiful nostalgia. We may have heard them a gazillion times but each time is a new experience. The heat and cold pendulum swing reminiscent of harmatan season have also not prevented parents from taking their children out to see Santa Claus (Or Father Christmas depending on whether you were brought up in Abulegba or on Bordilon Avenue). Santa Claus is a mythical gift bringer dressed in red, whose origins have diverse sources. The name Santa Claus can be traced back to the Dutch Sinterklaas, which means simply Saint Nicholas. Nicholas was Bishop of Myra, in modern day Turkey, during the 4th century. Among other saintly attributes, he was noted for the care of Children, generosity, and the giving of gifts. Santa’s gifts are every kids dream. The sports car, the Barbie dolls, the Lego toys- kids want it all. As Christmas draws the curtains on the year, we should be grateful for the year gone by. The blessings of the gift of life can not be over emphasised. So eat, drink and make merry. It’s Christmas! The year 2010 was a historic one for this country. We achieved a lot as a Nation. From the intrigues generated from an MIA President to the impressive display of athletes at the Common Wealth games. It was indeed eventful. The nation moves into an election year and once again our resolve for conducting credible elections will be tested. Can we break the fetters binding our democracy? Or is it all in the hands of the mighty politician? Time as they say will tell. · January 4- Nigeria is placed on US Terror List in the wake of the failed Suicide Bombing attempted by Farouk Abdul Mutallab. · January 12- Earth Quake occurs in Haiti killing over 200,000 people. · January 31- Roger Federa is the first man to win 16 Grand Slam titles. · February 24- President Umaru Yar’Adua is sneaked back into the country at night. February 18 – The President of Niger, Tandja Mamadou, is overthrown after a group of soldiers storms the presidential palace and form a ruling junta, the Supreme Council for the Restoration of Democracy headed by chef d’escadron Salou Djibo. · March 16 – The Kasubi Tombs, Uganda’s only cultural World Heritage Site, are destroyed by fire. April 20 – The Deepwater Horizon oil platform explodes in the Gulf of Mexico, killing eleven workers. The resulting oil spill, one of the largest in history, spreads for several months, damaging the waters and the United States coastline, and prompting international debate and doubt about the practice and procedures of offshore drilling. · May 6- President Goodluck Jonathan takes oath of office becoming Nigeria’s 14th Head of State. · June 11 – The 2010 FIFA World Cup is held in South Africa, and is won by Spain. · July 25 – Wikileaks, an online publisher of anonymous, covert, and classified material, leaks to the public over 90,000 internal reports about the United States-led involvement in the Afghanistan from 2004 to 2010. · July 29 – Heavy monsoon rains begin to cause widespread flooding in the Khyber-Pakhtunkhwa province of Pakistan. Over 1,600 are killed, and more than one million are displaced by the floods. · September 28 – Seven people are reported to have been killed and around 100 are missing after a landslide in Oaxaca, Mexico. · October 1- Twin bomb explosion mar Independence Day celebration in Nigeria. The attacks left 12 dead and 17 injured. · October 10- itualive! makes first public post. · October 13 – Thirty-three miners near Copiapó, Chile, trapped 700 metres underground in a mining accident in San José Mine, are brought back to the surface after surviving for a record 69 days. · November 9- Irate man attacks former President Olusegun Obasanjo. · November 28 – WikiLeaks releases a collection of more than 250,000 American diplomatic cables, including 100,000 marked “secret” or “confidential”. · December 15- Pa Anthony Enahoro, the man who moved the first motion for Nigeria’s Independence in 1953 dies at age 87. And as this would be my last post for the year, I thank you for the support you have given itualive! I wish you all a blessed 2011. May God Bless You All.